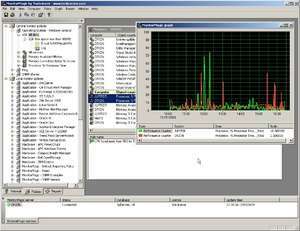 MonitorMagic is a proactive monitoring and reporting tool for Windows 2003/XP/2000/NT servers, workstations and SNMP devices and supports agentless monitoring. MonitorMagic supports Windows and UNIX based resources such as memory, disk and CPU load and optionally records the values into a database to enable graphical trending and reporting. MonitorMagic ships with predefined policies for popular hardware and applications. For security reasons, you should also check out the MonitorMagic download at LO4D.com which includes virus and malware tests. Additional screenshots of this application download may be available, too. MonitorMagic download been highly rated by our users.